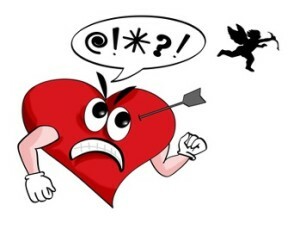 Ahhhhh, Valentine’s Day – the most loved and hated day of the year. It’s kind of sad to see the overwhelming amount of negative remarks clouding social media on February 14th each year. Debbie Downers. If you’re not having a good day because no one did anything for you, either show yourself how much you love YOU by gorging on chocolates and then dressing in a snazzy getup to go grab groceries; or do something nice for others – even better, do something anonymous and nice for someone who doesn’t expect it. Make their day brighter. Spread the love…don’t cry over the little things. After you’re done being a nice person, go home and cook yourself a fabulous, mouth-watering meal. You deserve it. Maybe the irresistible fumes will float down the street (or the hall if you live in a condo) and into the nose of your future love, who will follow the aroma back to you. Good thing you remodeled your kitchen recently to support your awesome host skills. What? You haven’t done that yet? Well, then you better get to work. Don’t worry, we’ve gathered some details to add to your new kitchen so you can impress with vigor. It’s not an intimate celebration if there’s no wine involved (unless, of course you’re pregnant or an alcoholic…in which case, you might not want to participate in the wining). Why not make the wine and glasses easily accessible as a part of the décor? There something beautiful about both, so display your wine in a built-in wine rack above the fridge or as part of your island storage; and display a few glasses upside down on a wine glass rack above the sink or upper cabinetry, if there is room. Make sure to keep everything stocked for those last-minute get-togethers. Isn’t it annoying when you go to grab a pan and it’s at the bottom of the stack in the back of the lower cabinet? In the process of retrieving said pan, it pretty much sounds like one of those obnoxious New Year celebrations where everyone stands on the front porch and clangs pots and pans for all of the neighbors to hear. Avoid the clanging embarrassment by spending the extra money for smart cabinet storage – cabinet drawers, roll out shelving or even a hanging pot rack. You’ll notice the difference immediately and won’t regret the added cost. We’ve all collected cute holiday decorations throughout the years, but many of us aren’t blessed with space to display them. If you’re a somewhat organized person, investing in glass mullion upper cabinet doors may be the answer to your festive prayers. Go ahead and display your cute heart-shaped teacups for all to see (just make sure the rest of the cabinets are clutter-free). Nothing kills the mood like a room with terrible lighting. You know, the flickering florescent lighting, or the lighting that just won’t get bright enough…or the lighting that gets too bright… You deserve to look fabulous in your kitchen. A great tip is to add three different types of lighting – general illumination (an overhead fixture),task lighting so that you can see what you’re doing (under cabinets or anywhere you tend to do your chopping and prepping), and accent lighting to set the ambiance. In addition, make sure you plan out your switches. You don’t want one switch to control them all, so consider one for each area; and keep dimmer switches in mind, as they make your lighting more versatile. So, whether you have a Valentine today or not, spoil yourself, share the love, and show off your beautiful kitchen. Check out our tips (and comic) from last year for more ideas: Romantic Accents for Your Kitchen.